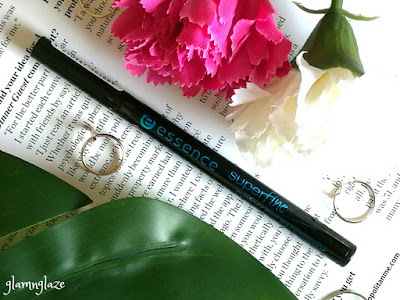 Today, I am going to share my thoughts on the Essence Cosmetics Super Fine Eyeliner Waterproof(black). One of the leading cosmetics brand from Europe, Essence inspires you to express who you are with style, confidence and fun. You can try various fabulous looks with a huge range of breakthrough Essence beauty products which follow season's hottest colors and formulas and suit all skin types. All Essence products are made of highest quality standards, are super affordable and are not animal-tested. Accurate work. the superfine eyeliner pen is now available in a waterproof version. this precision pen has an extremely slim applicator with a felt tip to create thin as well as broad eyeliner styles. It's longer lasting than ever before thanks to the waterproof texture! 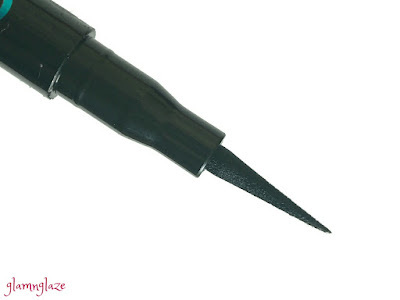 Essence water-proof eyeliner with fine tip applicator. The product comes in a sleek black coloured pen-packaging.Looks like a sketch pen.The packaging looks basic and simple. The fine tip applicator looks amazing and sharp.It's travel friendly and sturdy.The cap closes tightly and secures the pen-tip very well.The details like product-quantity , shelf-life are mentioned on the packaging.I like the packaging. Very lightweight formula. once applied on the eyelids, doesn't feel heavy at all! 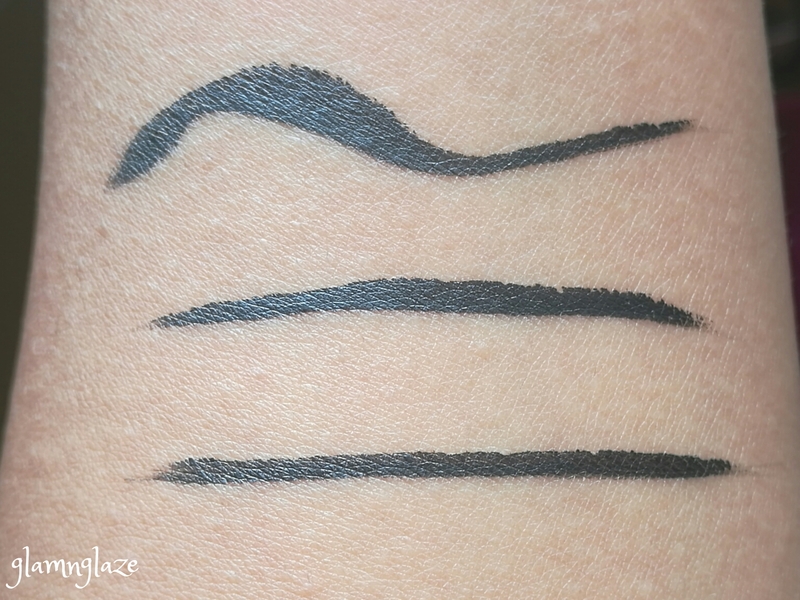 Deep dark black coloured eyeliner.Not jet black. Matte finish.Not extremely matte though. Liquid consistency, but, not runny or anything like that.Perfect formula. 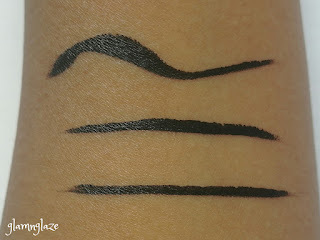 Deep black coloured eyeliner.Very pigmented. One swipe is sufficient to use.Maximum two swipes should do. The fine tip applicator helps in drawing thin line nicely. Thick line can be drawn easily too,if you like thick eyeliner look.The tip is easy to control while applying the product. Water-proof to a great extent. The shelf-life is eight months.That's great in my opinion. Only con is as the time passes it fades away a tad bit. Or we can say the intensity of the pigmentation gets reduced. Overall, I would say that Essence mascaras are my favourite ones.They are very affordable and easily available and work better than many high-end mascaras.I recommend this mascara .Girls must check this out.